In making this claim, these four men communicated their desire to pick up the mantle of other activist-athletes like Jackie Robinson and Jesse Owens, Billie Jean King and Arthur Ashe – and especially the recently deceased Muhammad Ali, perhaps the most courageous activist among all those in the pantheon of sports heroes. Anthony and Paul are less known for their social views, although Carmelo did share some mighty words on this summer’s violence just last week. Wade and James made headlines for their demonstrations after the deaths of Eric Garner and Trayvon Martin a few years ago, but James was criticized for his silence in the wake of the shooting of 12-year-old Tamir Rice in Cleveland. Part of what makes this week’s ESPYS moment—which other athletes like the Golden State Warriors’ and NBA MVP Steph Curry praised—particularly unique is the famous (and sometimes mocked) friendship of these NBA stars. 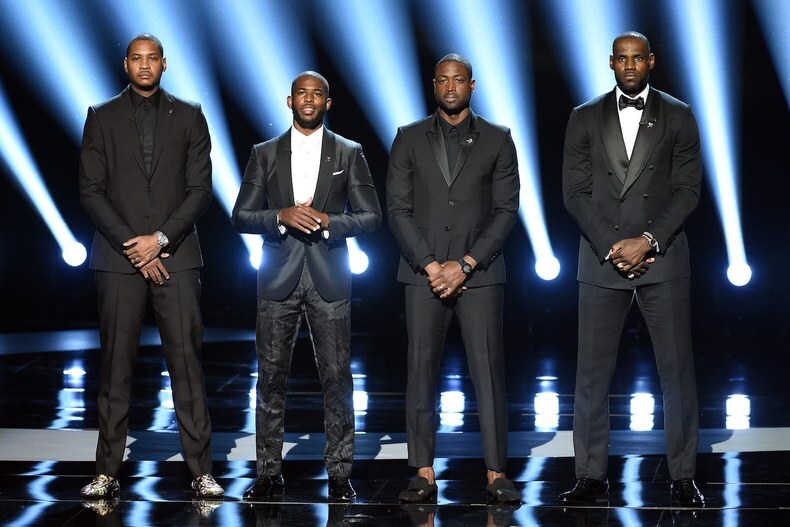 When Dwyane Wade was asked about what prompted the ESPYS speech, he pointed to the friendship he shares with LeBron, Paul, and Melo, which he describes as “bigger than basketball.” This sounds unsurprising by itself, but the fact is that many in the basketball world have long derided Wade and James precisely for their friendship. Former coaches and stars say such a friendship-across-opponents is “unnatural” and should be replaced by the hatred that marked the titanic clashes between rivals (like the Boston Celtics and LA Lakers) in previous decades. Friendship is ruining sports, at least according to some. But to claim that friendship is ruining sports is to distort the meaning of the games themselves. The reason why sports are so widely celebrated is because they are ordered to the ends of honor, excellence, and achievement, not hatred for your opponent, willingness to win by any means necessary, or stooping to humiliate those you defeat. The triumph of the human body and spirit through all the training, pain and injury, and the gauntlet of competition against the most elite on earth is one of the reasons why the Olympic games captivate billions around the world and set viewership records in the U.S. Setting aside the ridiculous team contracts and product-endorsement deals that pay athletes ungodly sums of money and the abuses of power that mask the injustices done by some leagues, teams, and individuals (like the NFL’s handling of domestic abuse and brain-injuries, corrupt college programs, and athletes who got away with crimes – including sexual assault on college campuses), there is much to celebrate about sports. And there is no necessary reason to oppose sports and friendship. Theologically speaking, even the Apostle Paul finds value in competition (1 Corinthians 9:24). And more to the point, friendship is the pinnacle of the Christian life. Thomas Aquinas defines the virtue of charity (i.e., love) as “friendship with God” (and he shares Aristotle’s view that virtue is perfected in friendship). Many theologians, including the great Karl Rahner, have reflected on the belief that our truest and deepest experiences of God are reflected in our truest and deepest friendships. This isn’t to paint friendship as all sunshine, lollipops, and rainbows, either; our best friends are the ones who hold us accountable, even point out our weaknesses or missteps (Aquinas includes this in the dimensions of love, when done in the spirit of “fraternal correction” toward what is right, true, good, and just). There isn’t a good reason why teammates or even opponents—in striving for excellence—couldn’t also support and challenge to one another to attain higher standards or performance, and thus hold each other accountable. Their bold statement would have been even more powerful if they had been joined by white allies. Even if those other athletes had been silent on stage, standing with their teammates or friends, this would have sent a much-needed message: there can be no spectators in this fight for justice; this is on all of us. #BlackLivesMatter isn’t just for black or brown bodies to work to make reality. 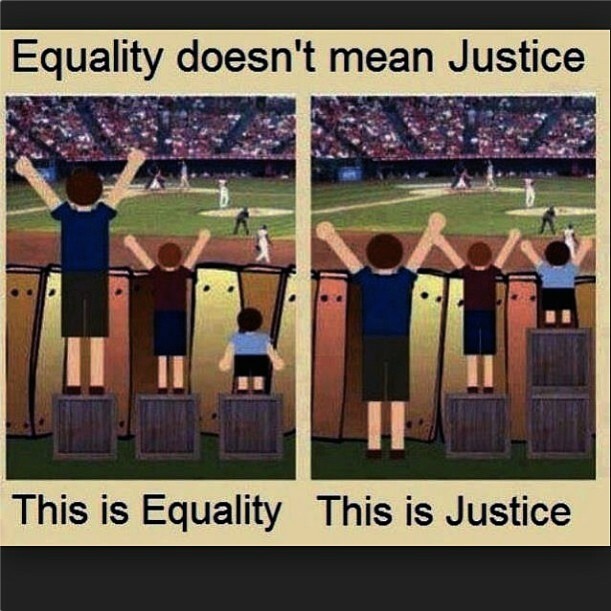 It is a requirement of justice for all that those in greatest need are given the greatest preference, as illustrated by this image that shows justice doesn’t mean treating everyone the same, but according to their due. This is a central principle of Catholic social teaching, called the “preferential option for the poor” (a duty to opt, or choose, to benefit those who are most vulnerable in alliance with God’s revelation in history as taking the side of the poor and oppressed). The credibility and meaning of #BlackLivesMatter illustrates the preferential option for the poor in our country today. It cannot be whitewashed by #AllLivesMatter, which misses the point entirely. To say black lives matter is not to say all lives don’t matter, but to say even in the face of so much discrimination, injustice, and violence that specifically target black and brown bodies, these lives still matter. In being preferential, not exclusionary, #BlackLivesMatter is trying to right the wrong in a broken social construct. The timing of these athletes’ statement is crucial. Not just because the previous night a singer changed the lyrics of the Canadian national anthem to sing “all lives matter” at MLB’s All Star Game in San Diego. But as the violence continues, as many as 70% of Americans now say that race relations are bad (which is staggering considering that blacks and whites have been “worlds apart” in their perceptions and experiences of race, even as recently as this Pew study released less than three weeks ago). It is no small feat to stand up and speak out for friendship and justice in a social climate that promotes unadulterated self-interest, amoral competition, and complicity in a divided, unjust, and violent status quo. In word and deed, they are giving witness to solidarity. The Catholic church defines solidarity as “social friendship,” which is friendship not shared between only those with similar beliefs, values, or hobbies, but inclusive, mutual, and just relationships that work for the beliefs and values, policies and structures that foster unity across difference. In other words, solidarity is friendship that crosses boundaries. Solidarity welcomes the “other,” the stranger, the one who is vulnerable, marginalized, or oppressed. Solidarity is the virtue and strategy that builds a more inclusive, diverse, and just order. This is precisely the point of the Gospel we heard this past Sunday. The story—for some reason, popularly called “The Parable of the Good Samaritan” even though those words don’t appear in Luke 10:25-37—is so well-known it’s easy for us to miss the shock and challenge that it produced for Jesus’ original audience. Much can be said about this passage, including the novelty of joining the duty to “love God and your neighbor” into a single command (these duties remain separate elsewhere in Scripture; see Deuteronomy 6:5 and Leviticus 19:18 and recall that they are ranked “first” and “second” in Mark and Matthew’s Gospels). Still, note that the lawyer’s question to Jesus, “Who is my neighbor?” is a limit-seeking question. The lawyer wants to figure out who is his non-neighbor, the one he is not obligated to love. When faced with that question, Jesus imparts the story of the man who was attacked on the road to Jericho (a route so notoriously dangerous only a fool would travel it alone, meaning that Jesus’ audience had no sympathy for the man who was beaten, robbed, and left for dead). When a priest and Levite see the man lying in a ditch, they cross over to the other side of the road, moving farther away from the one in need. Although some excuse the priest and Levite for their actions, even the premium on ritual purity yields to the duty to one near death or one who has died in the Jewish tradition (see m. Nazir 7.1 in the Mishnah). In short, these religious leaders have failed in their duty to do justice to their fellow man. Now if Jesus wanted to teach that we should love others who share our beliefs and values, ethnicity or religion, he would have told a story about a Jewish layperson being the next to travel the road to Jericho. And if he wanted to reinforce his previous command (Luke 6:35) to love even our enemies, then he would’ve picked a vile, despicable person to have been beaten, robbed, and left for dead. Like a Samaritan. We hear “Good Samaritan” so often—in news stories about people who pull over and help someone with a flat tire or do some random act of kindness or it’s the name of a hospital or charitable organization—that we miss the fact that “Good Samaritan” would’ve been the epitome of an oxymoron for Jesus’ audience. Jews hated Samaritans and Samaritans hated Jews. Samaritans had terrorized Jews and defiled the Temple in Jerusalem, their most sacred site (they even turn Jesus away earlier in Luke’s Gospel (9:51-56)). Had the man lying in the ditch been conscious, he would’ve preferred death than to have been helped by a Samaritan. The Samaritan represents the most despised outcast Jesus’ audience could imagine. And Jesus’ audience would’ve been getting sick to their stomachs to imagine a Samaritan drawing near the man beaten, robbed, and left for dead (note that the Samaritan’s drawing near is directly opposed to the priest and Levite’s crossing over to the other side of the road to move farther away from their neighbor in need). Why does the Samaritan respond to the one in need? Not because he follows the letter of the law (like a lawyer might think), but because he’s “moved with compassion.” Compassion is a weak translation of the Greek, which is much more visceral: his heart was melting. He connects on a human level with this man who has been beaten, robbed, and left for dead. And he comes close to see what he can do to help. As a despised outcast on a dangerous route (where he could’ve been ambushed and beaten and robbed himself), the Samaritan uses the means at his disposal to tenderly bandage the man’s wounds. He takes the wounded man to an inn, a place he would not have been welcome to stay himself. The Samaritan offers enough money to provide for the man’s recovery and promises to return. When Jesus finishes the story, he raises a question back to the lawyer. “Which one of these three, in your opinion, was neighbor to the robbers’ victim?” Notice Jesus has changed the question. He took a limit-seeking question that defined a neighbor as an object of one’s duty and transformed it into a story about the neighbor as a subject who takes initiative to love God and neighbor by acting with compassion, courage, generosity, and boundary-breaking solidarity. Jesus tells a story using these three figures walking along this specific road to defy the lawyer’s limit-seeking question. Everyone is a neighbor; Jesus’ followers cannot think in terms of “us” and “them,” or “insiders” and “outsiders;” no one is beyond our moral responsibility. It’s important to recognize that Jesus doesn’t say, “Go and do exactly the same.” The key is the word “likewise,” which is analogical. It’s an invitation to consider the manner in which each person can be Samaritan-like in their own time and place, according to their own abilities and needs. What would it mean for me to go into the ditch, take the vantage point of such a marginalized position, and stand near a person (or group) who is totally vulnerable and alone? This Gospel story certainly connects well with the #BlackLivesMatter movement. And so does the next story (the Gospel for this coming Sunday), Jesus’ visit with Mary and Martha (Luke 10:38-42), where Martha busies herself being a good host and Mary sits at Jesus’ feet to listen and learn from him. For Luke, these passages belong together as a unit. These two stories show what it means to love God and neighbor, not in a way that contrasts the active and contemplative life, but in a way that integrates them into a balanced life (what Ignatius of Loyola describes as a “contemplative in action”). You can’t have one without the other. Both are manifestations of friendship: one with the outcast, the other with Jesus. This makes perfect sense, given that Jesus identifies himself with the outcast and those in need (Matthew 25:31-46), telling his disciples that whatever is done for the “least” is done for him. In my busy day, do I take the time to hear from politicians like Senator Tim Scott describe being stopped by law enforcement seven times in one year? Or from clergy like Fr. Bryan Massingale lament the “soul-sickness” of racism he has experienced firsthand? As I make it through my summer reading list, do I opt to include Ta-Nehisi Coates’ letter to his son, as he shares his sense of defeat every time someone asks him about having hope for the future? Am I willing to enter a world far different from my own, to listen like Mary, and then do what I can—no more and no less, just like the Samaritan—to “do likewise” in the same spirit of courage, compassion, generosity, and boundary-breaking solidarity? There’s so much we can do. 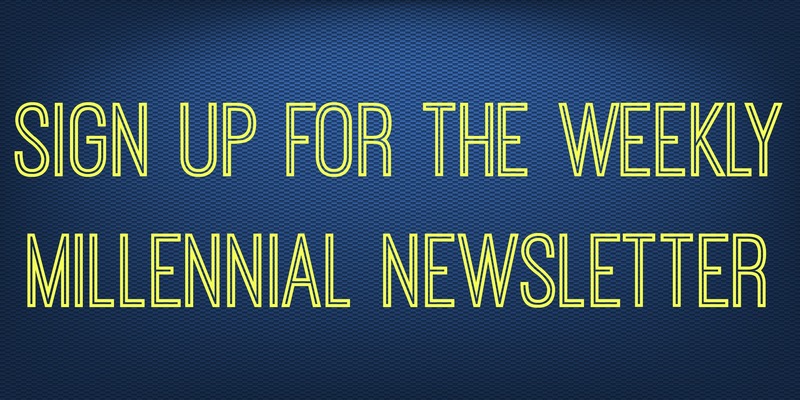 There’s material to read, videos to watch, actions to take. There are a lot of voices and views to consider when it comes to being an ally or honing your sense of allyship. There’s more to this than police brutality or the Flint water crisis; there are many, complex, interrelated issues to explore: poverty, housing policies, education inequality, criminal justice reform, and gun control are just a few. Above all, we cannot lose sight of the fact that this is all about people, so this work cannot be done in a vacuum. It has to be done through conversations and relationships that cross the color line. An African proverb suggests, “When you pray, move your feet.” I take this to mean that faith requires action. It is also fitting as an invitation to change our social location, to go into the ditch, and take up a vantage point that isn’t our own. This means being willing to be uncomfortable and get some things wrong. It means being ready to listen. And to respond with courage, compassion, generosity, and boundary-breaking solidarity. Just as James, Wade, Anthony, and Paul showed us this week, it means breaking the silence, because #silenceisviolence. They used their voices; how will use yours?